Is your Jeep Compass, Jeep Patriot, or Dodge Caliber experiencing a loss of handling or early tire wear? This can be caused by your front lower ball joints failing. 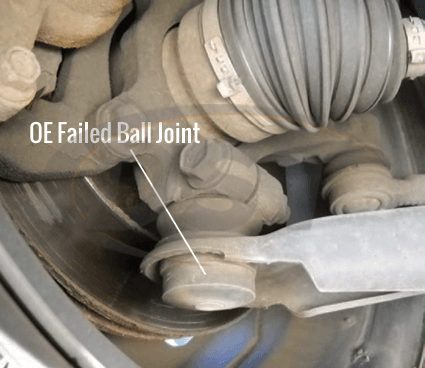 The OE balljoints that come factory installed on your Jeep or Dodge are non-serviceable, this leads to contaminant buildup and corrosion, eventually resulting in the ball joint's failure. What makes this worse is that you can't get a ball joint separately from the factory, this leaves technicians no choice but to install entire control arms. We here at DST know how important it is to get your Jeep or Dodge up and running again, without breaking your bank. 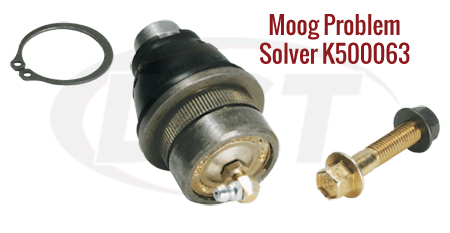 This is where Moog's Problem Solver K500063 Ball Joint steps in. It's a first-to-market, premium alternative to replacing the entire lower control arm, saving you money right off the bat. 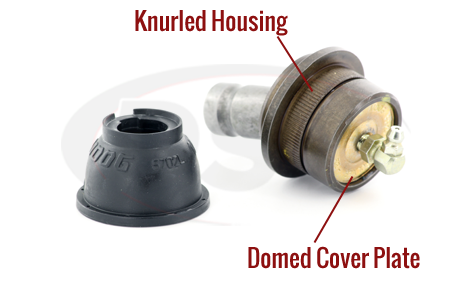 This ball joint features a knurled housing, a snap ring, and even includes a new pinch bolt for secure mounting. 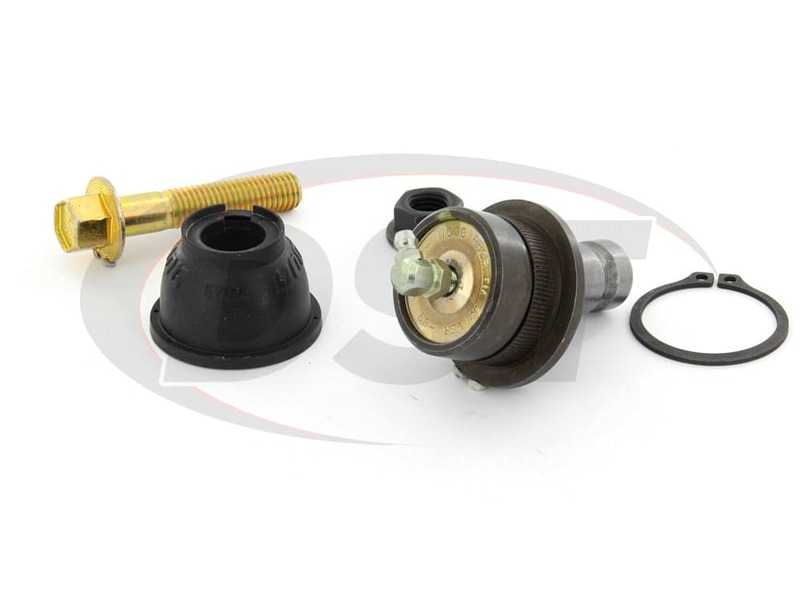 In addition, this ball joint features Moog's powdered metal "gusher" bearing. 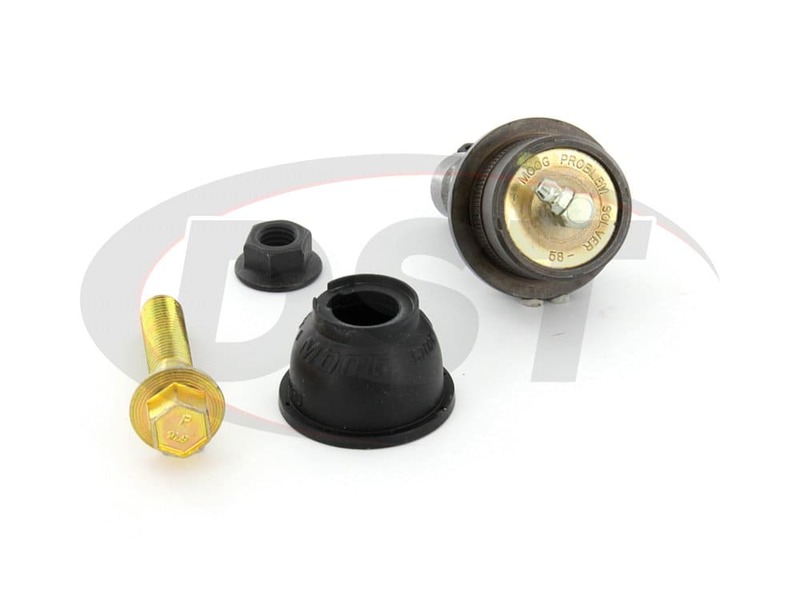 This bearing transfers vehicle loads through the ball joint and into the housing, reducing stress on the joint itself. Finally, this ball joint is designed to be easily greaseable. 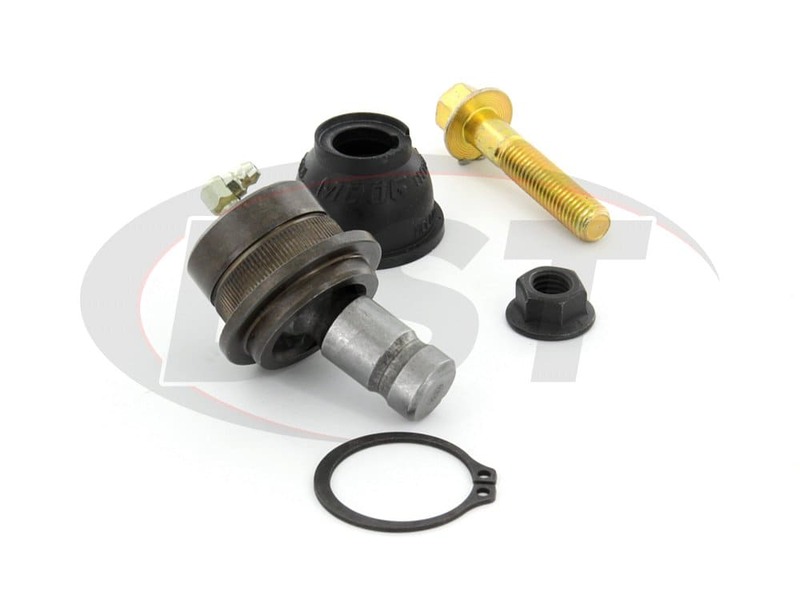 A zerk fitting comes with this ball joint, once attached you can add grease to the joint, both lubricating it, and flushing out potentially harmful contaminants. 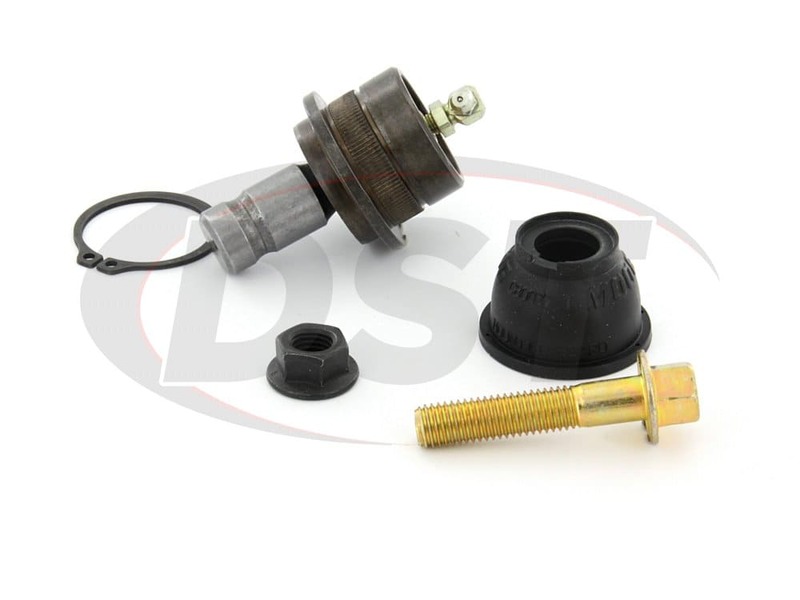 All of these features are designed to lengthen the life-span of the ball joint, reducing the chance for failure and saving you even more money down the road. Installing the K500063 can be tricky, removing the control arm from the vehicle needs to be done first. 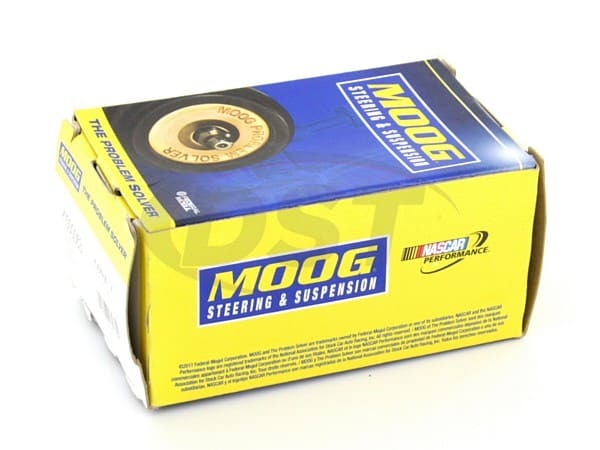 After that Moog recommends using a press tool to get the old ball joint out, pressing on it from the top so the flat end comes out first. After that, install the K500063 from the top and reattach the control arm. Detailed instructions are included with the part to ensure a flawless installation. The K500063 is covered with Moog's lifetime warranty, handled in house here at DST, and it's ready to ship to you today directly from our Stephenville location so you can get back up and running very soon! starstarstarstarstar" very, very happy "
starstarstarstarstar" better than original "
Good quality, easy to fit. Great service as I am in UK and they sent them from the USA. Very happy with this fix to my car. Jeep here in New Zealand quoted $900NZ for a single lower control arm, stating that the ball joint could not be purchased alone. I purchased 2 ball joints and inclusive of freight cost $170NZ. The Moog kit was very simple to install, less than 1 hours labor. Will part number k500063m fit my Jeep compass sport 4x4 year 2013? Yes, part number k500063 will fit the 2013 Jeep compass sport 4x4. 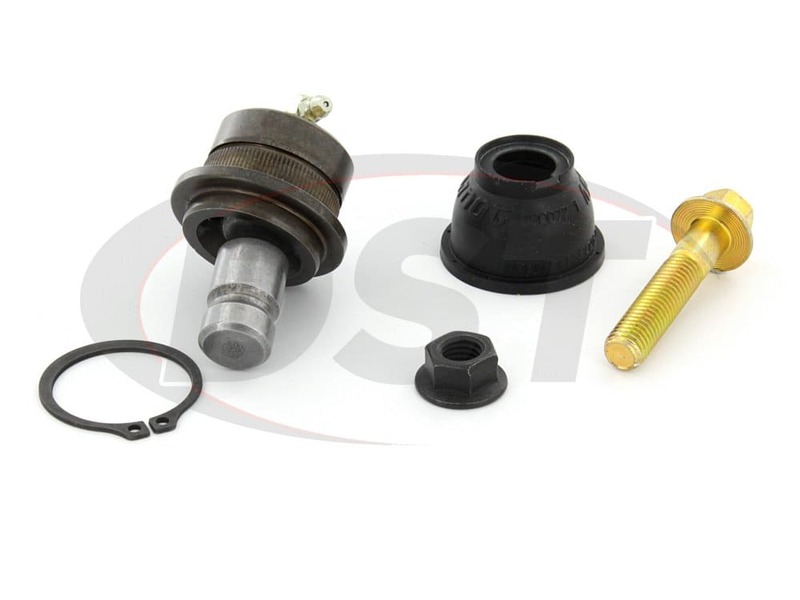 Do you have installation instruction for the ball joint K500063? Will part number k500063 fit my 2012 dodge caliber? Yes, part number k500063 will fit the 2012 dodge caliber.